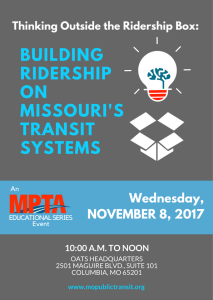 An MPTA Educational Series Event Join MPTA for the November 8, 2017 Educational Series Event, "Thinking Outside the Ridership Box: Building Ridership on MO's Transit System." 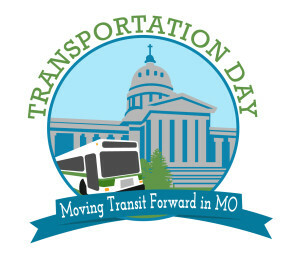 Panelists from Kansas City Area Transit Alliance (KCATA), OATS, and Enterprise CarShare will discuss innovative transportation programs available in Missouri, including KCATA's new Ride KC Freedom on-demand taxi-transit collaboration. 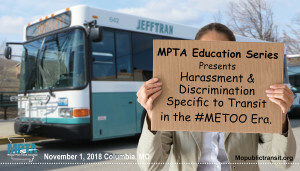 An MPTA Educational Series event.